Most slideshare documents allow you to download presentations, encouraging a free and open environment when it comes to sharing documents and presentations. 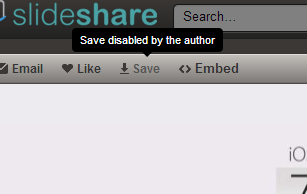 "Disable save" presentations realistically do not offer any protection from users downloading the presentation itself, in fact, the urls required to create a presentation are embedded in the source code of of every slideshare page, and not much is required to take it and to download the image. 5. 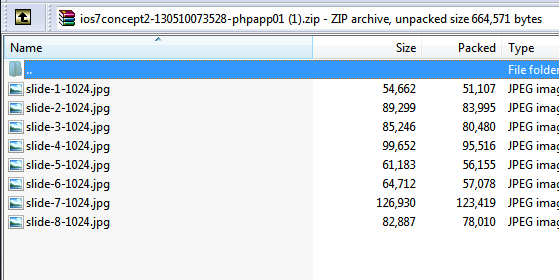 Enjoy the presentation as a collection of zipped images!